Warning: These are overwhelmingly cute. Orangutans in the Nyaru Menteng Orangutan reintroduction project, which houses orangutans whose habitats are threatened by deforestation linked to palm oil. 1. This polar bear who just wants to play depends entirely on the existence of the frozen sea. Today, the primary conservation concern for polar bears is loss of their sea-ice habitat and reduced access to their primary prey, due to climate change. 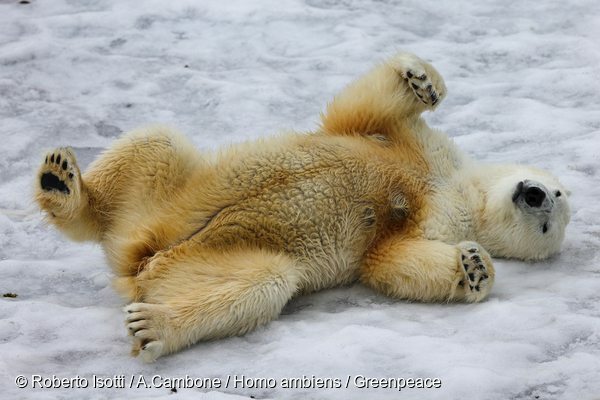 A polar bear (Ursus maritimus) rolling on its back. Polar bears are critically endangered and red listed by the IUCN (International Union for Conservation of Nature). 2. 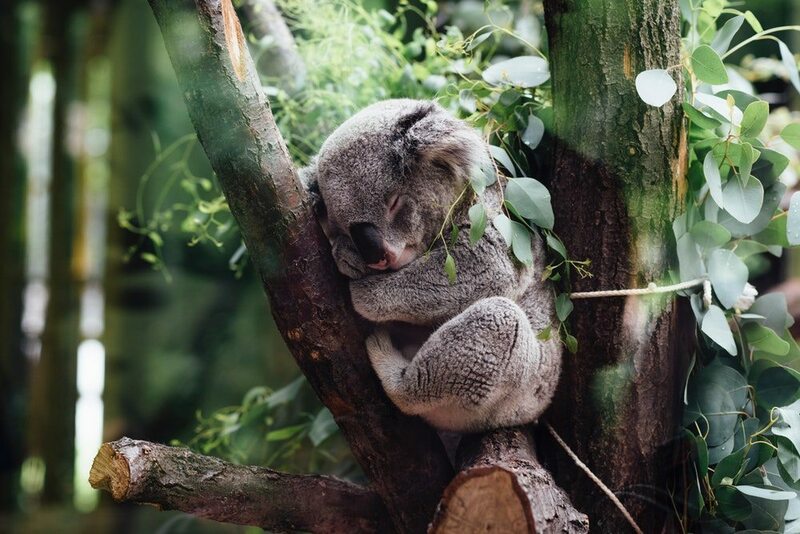 Because of climate change this sleepy little guy is forced to spend more time on the ground looking for food where koalas are most exposed to predators. As if that wasn’t bad enough the increase in global temperature is having terrible effects on eucalyptus, the almost exclusive basis of koalas’ diets, from which they draw their nourishment and water. Threatening the eucalyptus trees means endangering the survival of this fluffy marsupial. A koala napping in a eucalyptus tree. 3. Droughts are a problem for this friendly baby elephant since they are very sensitive to high temperatures. Elephants are susceptible to heat stress as well as sunburn. They also need a great deal of fresh water each day. Droughts severely affect them increasing mortality and making it harder for them to reproduce. 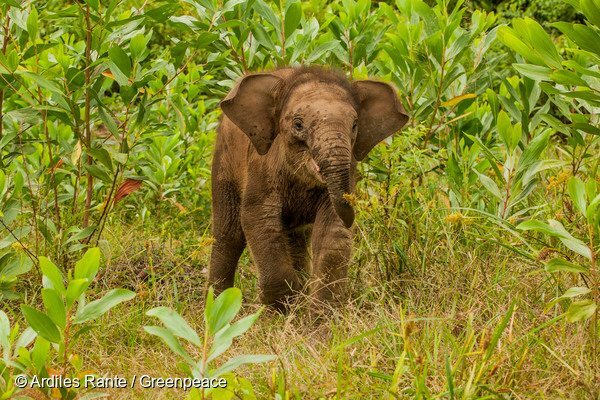 An young elephant at the Elephant Flying Squad in Tesso Nilo National Park in Indonesia. Flying Squad consists of four trained adult elephants and eight elephant handlers called mahouts, which are deployed to drive wild elephants back into the forest when they stray into nearby villages or farms. The Tesso Nilo forest complex has one of the world’s highest recorded diversities of plants and supports key populations of critically endangered Sumatran elephants and tigers. 4. Climate change affects this little buddy’s ecosystem leaving him without food. Their habitat is shrinking primarily due to increasing temperatures and changing rainfall patterns, affecting the availability of food sources. 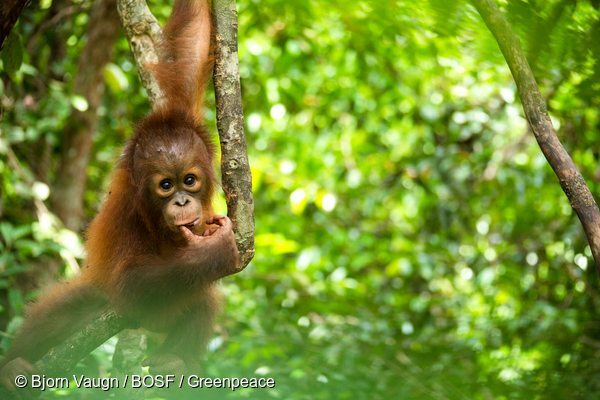 Also, orangutan females are less likely to conceive during periods of low fruit abundance. One year-old male baby orangutan Jelapat plays on the tree at Borneo Orangutan Survival (BOS) Foundation in Nyaru Menteng, Central Kalimantan. Jelapat was confiscated from a resident on June 21, 2016 in South Barito, Central Kalimantan after the owner kept him since December 2015. 5. Losing Nemo? Coral reefs are seriously declining globally and time-lagged effects and increasing CO2 levels mean that rapid further declines are imminent and baked in. Clownfish suffer the impacts of coral reef degradation, increasing ocean acidification in ever warming oceans due to climate change. 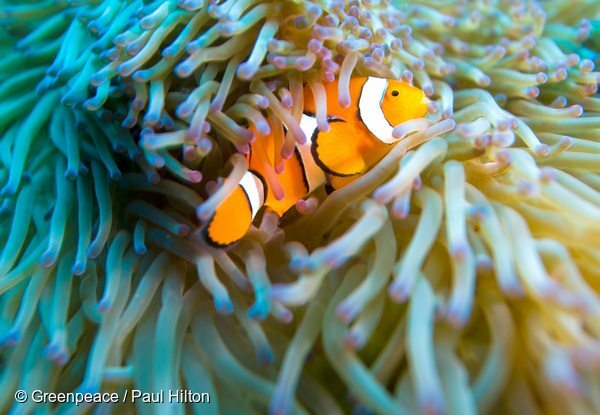 A clown fish swimming in a sea anemone. When future generations ask us about our lifetime will we remember ourselves as the generation that acted decisively and hung onto a natural world full of koalas, pandas, cute clown fish and majestic polar bears? Or will we sadly remember the amazing plants and animals we knew we had put at risk, but continued drilling for oil, because it seemed like the thing to do at the time? 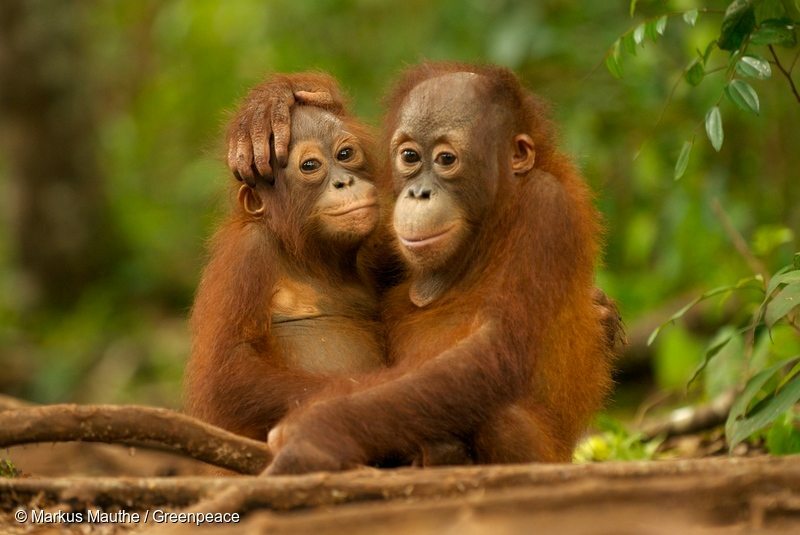 Your actions today will help prevent potentially catastrophic changes from taking place—not only helping these amazingly cute animals, but also the climate and The People. 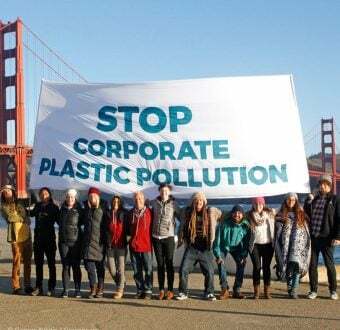 It’s not too late to act!